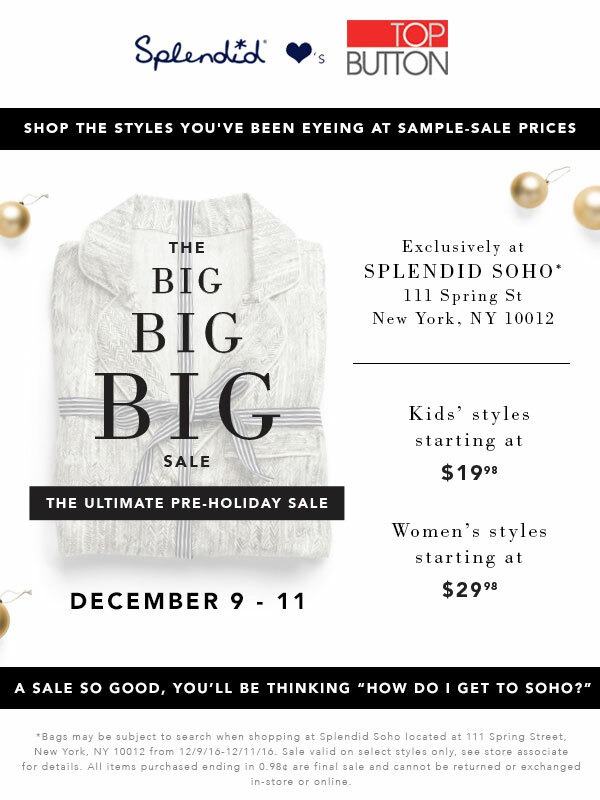 WHY: Don’t miss this opportunity to shop the Spendid Soho “Big Big Big Sale”. Shop the Ultimate Pre-Holiday Sale for just three days starting this Friday and find extraordinary discounts on women as well as children’s clothing in an assortment of Spring/Summer/Fall 2016 collections. Women’s sizes XS-XL and Kids 0-14yrs. Cash, MasterCard, Visa, AmEx, Discover, and Checks with ID accepted.